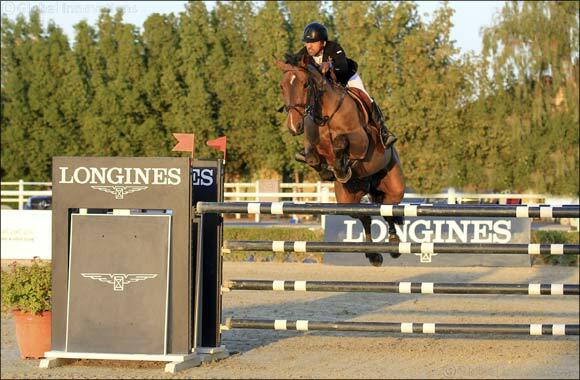 If you haven’t had a chance yet to watch a show jumping competition this season, make sure you catch the national at the Al Ain Equestrian, Shooting & Golf Club this weekend on Friday, March 8th and Saturday, March 9th. Held under the supervision of the UAE Equestrian and Racing Federation (UAEERF), the two-day Al Ain national show jumping competition will provide riders with the opportunity to jump heights of up to 140cm in the club’s spacious outdoor sand arenas. This weekend features 13 classes - six on Friday and seven on Saturday - for riders and horses of varying skills. This national includes competitions for Advanced riders (Division 1), Amateurs (Novice Division and Division 2), Juniors (riders between the ages of 14 – 18), Children (riders between the ages of 12 – 14), and Young Horses (4 – 5 year-olds & 5 – 6 year-olds). Riders will be competing for their share of 160,000 AED.